Simple, low cal, nutritious and a nice change from your regular green salad! Combine green onions, soy, water, oil, garlic powder and red pepper flakes and set aside. Break up ramen noodles and discard seasoning packet. Add peapods and pour 2 c boiling water over the mix and let stand 1 minute and then drain. 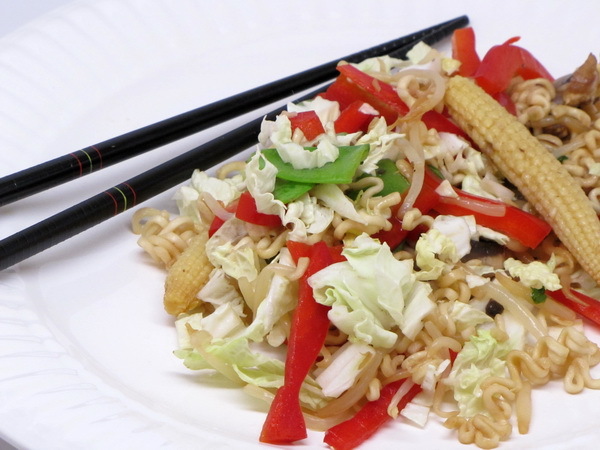 Combine noodles, pea pods, bean sprouts, mushrooms, corn and peppers in a bowl. Shake dressing and toss with the noodle mix. Cover and chill 2 – 24 hours. Just before serving add cabbage. Such crisp flavors ! The ginger, orange and teriyaki glaze mix perfectly and this meal comes together in a flash. 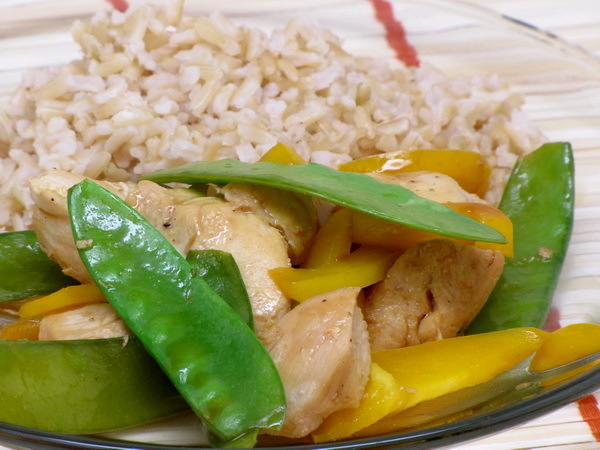 Asian stir fries are so very good and this one is no exception. Mix teriyaki, juice and ginger. Heat oil in skillet and cook chicken 4-5 minutes. 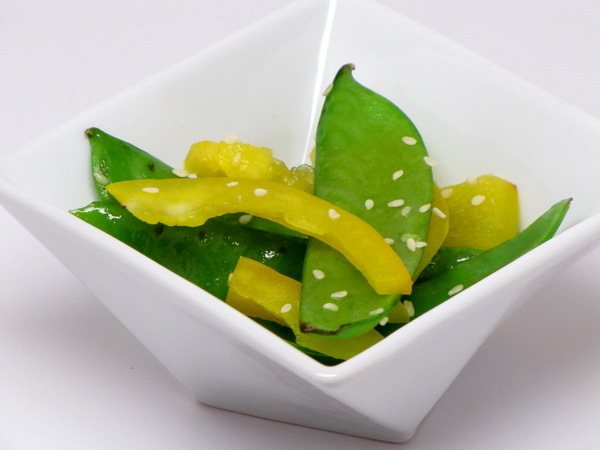 Add pea pods, bell pepper and teriyaki mix. Heat to boiling then reduce heat and simmer 3 minutes. Serve over rice. Crunchy, lite and colorful – – this makes a great side to just about any dinner. 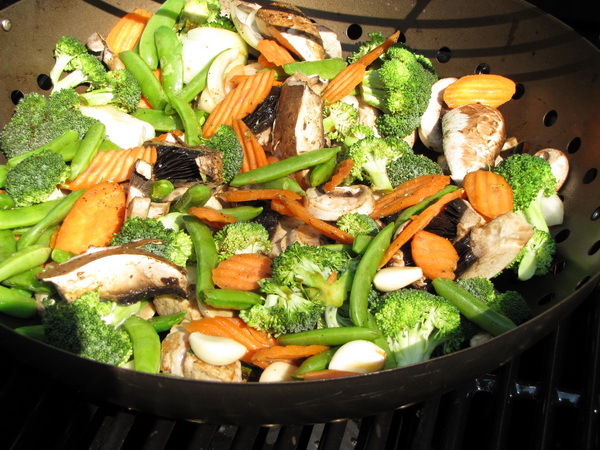 Heat oil in a skillet and add pea pods and oil and cook 2 minutes. Stir in pepper and cook 2 minutes more.